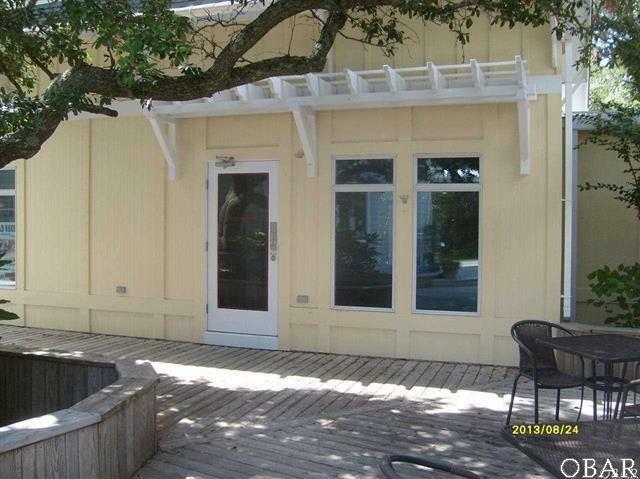 Looking for a small retail or office space on Ocracoke? This 440 sq. ft. space is located in one of Ocracoke's busiest commercial centers. Other commercial spaces in the market are established businesses with proven success. Old Nags Head exterior with an outdoor patio with several levels of decking and a beautiful live oak tree to shade your customers while shopping, eating or relaxing. Good curb appeal and great foot traffic; begin your Ocracoke business now! Pictures were taken before current tenant moved in, colors may have changed.